There is something special about truffles. I rarely make or purchase them until the holidays roll around, but they are certainly one aspect that make the holidays memorable. These little pieces of heaven never fail to put a smile on my face. And how could they not? These cuties are perfect in every way: petite in size with a rich, smooth, creamy center, decadent chocolate coating, and a sprinkle of cookie crumbs to round everything off. And like a lot of desserts, you can customize your truffles based on your tastes. Don't like dark chocolate? Well that's fine, because you can make a milk chocolate truffle. Don't like chocolate period? 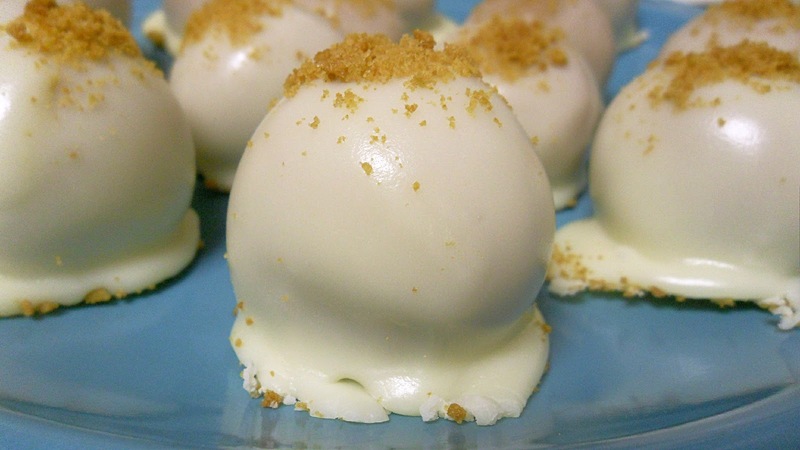 Okie dokie, try a white chocolate truffle with a pumpkin center. Don't like pumpkin? Well then I have no idea why you are reading this post. Kidding. But really, there might be something wrong with you. While I am a fan of ALL truffles (I do not discriminate when it comes to sweets), I thought a Pumpkin Truffle recipe would be a great way to celebrate fall and the upcoming holidays. They are a little something special to look forward to making for your Thanksgiving dinner or a holiday party. Cheers to the new season and bringing smiles with perfectly petite Pumpkin Truffles! Before you make these truffles, you must prepare the pumpkin puree by draining it of excess liquid. You can do this one of two ways: 1) place pumpkin in a strainer lined with a paper towel or cheesecloth, put the strainer over a bowl to catch the liquid, and place in refrigerator overnight OR 2) layer three or four paper towels on a baking sheet, spread pumpkin puree into a thin, even layer over paper towels, top with another three or four paper towels, and lightly press to absorb liquid out of pumpkin. Once pumpkin puree is drained of excess liquid, add it to a food processor, along with 1 1/2 cups gingersnap crumbs, powdered sugar, cinnamon, pumpkin pie spice, salt, and Neufchatel cheese. Pulse until smooth. Add one cup of melted white chocolate to food processor; process until all ingredients are mixed together and form a smooth mixture. Pour truffle batter into a shallow dish, place in freezer for an hour, or until mixture is firm enough to shape into balls. Line a baking sheet with parchment paper. Scoop truffles into 1 ounce balls (about 1 1/2 inch diameter), place on parchment paper, cover with plastic wrap, and put back into freezer until ready to coat. To make the topping for the truffles, place 10 ounces of white chocolate and vegetable shortening in the bowl of a double-boiler. Pour about an inch of water in a pot, bring to a simmer, and put double boiler bowl on top. Stir the chocolate and vegetable shortening until it's melted. Add milk or cream until you get the correct consistency (you want the chocolate to be smooth and melted, avoiding a thick and clumpy or thin and runny mixture). Place one truffle on a fork. Hold truffle over melted chocolate, spooning melted chocolate over truffle until it's fully covered. Return truffle to parchment paper by carefully pushing the truffle off of the fork with a spoon or toothpick. * Sprinkle top of truffle with gingersnap crumbs. Repeat for remaining truffles. Chill the truffles in the refrigerator until set, or about an hour. You can store the truffles in an airtight container in the refrigerator for a week or freeze for a month. *Note: If you want an extra thick coating, coat each truffle with white chocolate, place on baking sheet lined with parchment paper, and put in freezer for about 30-45 minutes to set. Once truffles are set and chocolate is hardened, you can repeat the coating process, sprinkling with gingersnap crumbs after the second coating. These would be great to bring to parties and get togethers! Yes! I can't wait for the holidays so that I can make all sorts of truffles to bring to get togethers! Umm you are such a domestic diva. These look SO delicious! My sister would love these! Thanks for sharing! Pretty! Pretty! You had me at draining it of excess liquid!" Why am I drawn to tedious desserts? Haha and I thought that part would turn people away! Glad to see you don't mind a little kitchen challenge. And these really are worth the effort! So yummy! I would love to try those. I'm visiting from Tasty Tuesdays at 33 Shades of Green. You definitely should Kendall! These truffles are so amazing. Thanks for clicking on my link at Tasty Tuesdays! I'm so glad that this post inspired you to try something new. :) While the recipe and instructions might seem a little daunting at first, they really aren't that hard. It just takes a little while to make and assemble all of the truffles. And I would love to share this recipe at your link party. Thanks for posting the link! I will try them....AND you'll be one of the featured posts tomorrow and pinned on our pinterest board. Thanks for linking up! That's great! Thank you Lisa! Golden Oreos would be delicious in these truffles!! I already have ideas for other flavors, including a s'mores truffle :) I'm definitely going on a truffle-making spree come December! Love these! 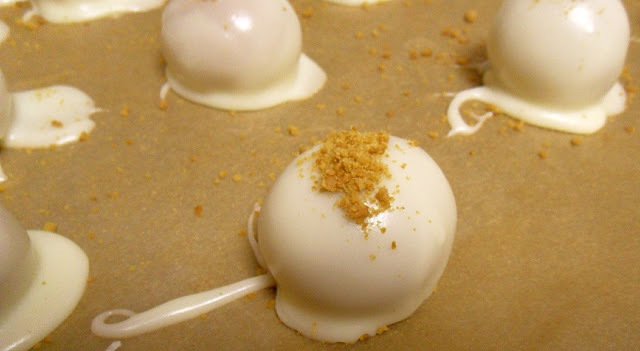 I havent made truffles before, but I am going to try to make some for Christmas! Thanks so much for linking up at Heavenly Treats Link Party, you are being featured on tomorrows link party, make sure you get your featured button! That's awesome! Thank you so much Pamela! These are super unique for me as I've never eaten or even thought of pumpkin truffles. 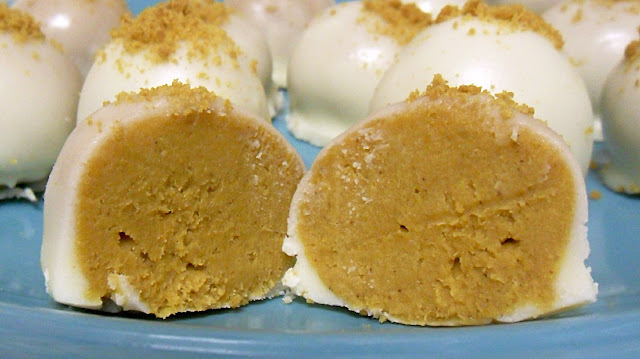 You definitely don't see too many pumpkin truffles, so these are unique and special. All the more reason to try them and make them for friends and family. Everyone I've made them for has loved them!! These are so cute & I love the sprinkle of cookie on top!! Thanks for sharing at Pin It Thursday! Ooohhh these look great! I love pumpkin! They look amazing! I'm so in love with them!